The Cold Press No.10 and No.20 (CP 10 & 20) are the larger brothers of the successful Cold Press No.1. All three machines operate according to the same mild press principle. Fruit and vegetables are processed in the Cold Press without squashing too many cells and without generating a lot of unwanted heat. These two aspects guarantee a higher quality of the extracted juice compared to other press methods. The CP1 is already deployed successfully by processors of fruit and vegetables. The introduction of the CP10 and CP20 allow processors to produce juices at a larger scale while preserving the natural nutritional value. 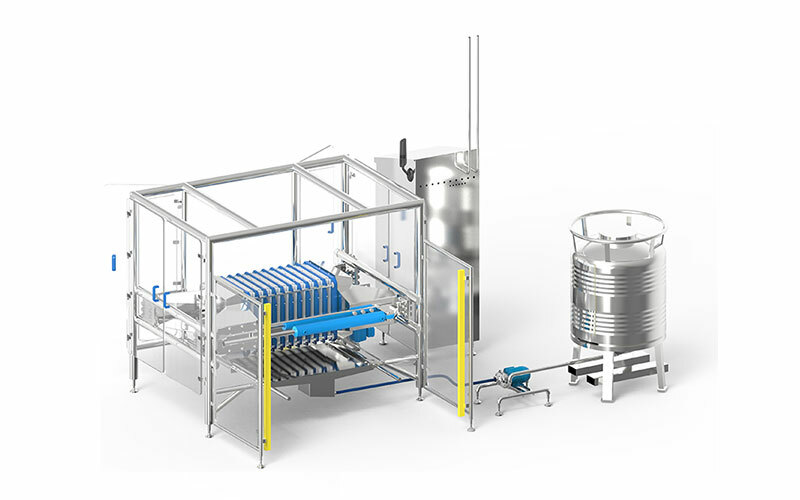 The capacity of the CP20 is 1000 liters of juice per hour (600 liters for the CP10). Press bags are emptied automatically and the machine can be operated by one person.